Since the App Store launched, one of the more busy categories has been Photo & Video apps. Many apps have provided filters to enhance or destroy our photographs, and some of those filters have tried to turn photos into what look like paintings or drawings. I say “tried” because most of those have failed to do a good job. Waterlogue (US$2.99) is a universal iOS app from Tinrocket, LLC’s John Balestrieri and Robert Clair that does one thing — transforming your photos into watercolor-like images — very well. Waterlogue is very simple to use: just launch the app, take a photo or select one from your photo library by tapping a camera button, and then let Waterlogue work its magic. If you like what Waterlogue has done with your photo — which will happen most of the time — a tap on a heart icon lets you share your painting with Instagram, Twitter, Tumblr or have it printed on a 4 x 6 inch postcard by Sincerely and shipped “anywhere in the world.” Your artworks can also be saved to your Photo Library, opened in another app, or emailed. 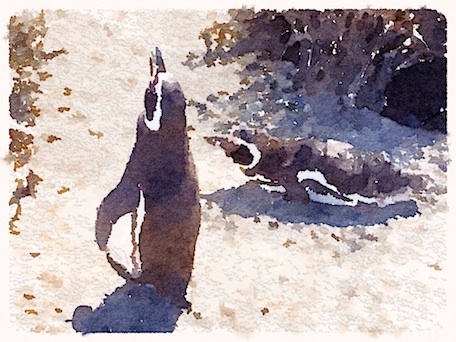 As a user, you could just stop there as your results are usually fantastic, but Waterlogue lets you tweak your images. All of the tools are available in a single sliding row at the bottom of the app. First, you have your choice of a dozen slightly different painting types: Natural, Bold, Luminous, “It’s Technical”, Travelogue, Rainy, Illustration, Soaked, Shallow, Color Bloom, Fashionable, and Blotted. But wait, there’s more! You can also select the size of brush you’re using, change the image brightness, and add a border — which for the sake of realism even has some “paint” that has run off of the side of your image and onto the border. All of the images you see in this post were taken with my iPhone camera at some point in the last two months and then run through Waterlogue to give them that soft, hand-painted look. One thing I always wanted to do but never had the talent for is to create trip journals that are illustrated with paintings. 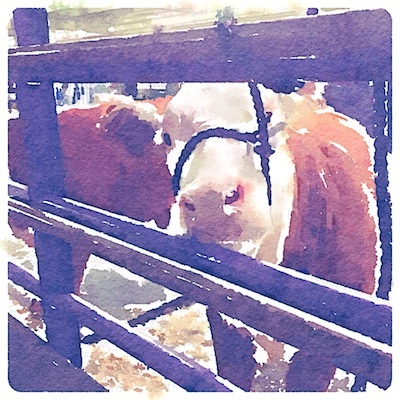 With Waterlogue able to magically create beautiful watercolors of my photos in seconds, I can see using it and a travel journal app (perhaps Trip Journal or AOL’s MapQuest Travel Blogs) to capture my memories. 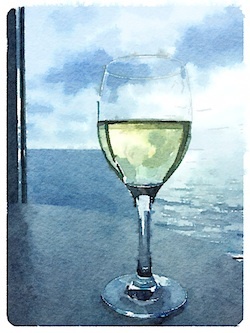 At this point, there’s nothing more that I can say about Waterlogue other than “buy it”. The app is universal, requires iOS 7.0 or better, and is optimized for iPhone 5.